April 15th arrives next Monday ... 10 hours earlier here in Uganda than back in my home state of Oregon. That day will be just another day here in Africa. Africa and America share Christmas and Easter, though Easter is a four day event here in Uganda. But April 15? It's only America that observes that day and it is NOT a holiday! It's when tax returns are due. It's interesting to me that Tax Day has triggered some motivation for me to pen this blog. Stay with me and maybe I'll be able to explain the connection between Tax Day and what Next Generation Ministries is attempting to do in Uganda, the Pearl of Africa. Several years ago a talented graphics designer fabricated a logo for Next Generation Ministries after hearing someone describe the work we do in Uganda. The byline that accompanies the logo is A River of Relationships Connecting Resources to Needs. Which brings me to April 15 or Tax Day in America ... though it is without much affection. Millions of wage earning citizens will be struggling to gather all their records of income and tax deductions from 2012 and file their returns before midnight next Monday. But, they are not the only ones. Not for profit corporations, like Next Generation Ministries, will also file their returns to give an account for income and expenses. It's called a 990 Form that NGM will file and it is a matter of public record ... accessible to anyone who has any interest in such things. I was surprised to see how a mom and pop ministry like ours has connected financial resources to some of the needs here in Uganda. Pam and I attempt to take every opportunity to invite Americans to come to Uganda to experience God like they may never in America. Our venue for connection between the Americans and Africans is relationships. We seldom present projects and events for their experience here. And, to our delight and their benefit, many of these short termers fall in love with and get connected to Ugandans. Often these relationships lead to financial contributions as those needs are quite obvious. The 2012 990 Tax Form for Next Generation Ministries reveals that $82,490 found its way into the hands of pastors, students, and various ministries here in Uganda. The beneficiary that turned out to benefit the most from the gracious giving of donors of NGM was Sera's Caring Place, a home for former street children. The total amount contributed to the needs of this home was $48,014! Among other contributions, NGM was able to pay the school fees for the day and boarding students in that home last year, as well as the rent for the home that serves as their base of living. In addition to meeting these major needs, a team from Northeast Washington built an outdoor kitchen and storage shelves for the home ... in addition to the financial amount that was given to Sera's Caring Place. After sharing a vehicle with the home for the past two years, NGM will transfer nearly $8,000 this month to The Caring Place for the purchase of a vehicle that will not only continue to transport the children back and forth to school and church each day, but provide transportation for other needs of the home. Often short term missionaries simply put cash directly into the hands of those they love, though there is no record of those gifts to be made on a tax return!. It is a delight to see the hand of God meeting needs of some Africans through the sacrificial giving of some in America. I've described how some of the funds donated to NGM were used in connecting resources to needs here in Uganda. We believe that it is good stewardship to know how the financial resources of ministries and charitable organizations are used. 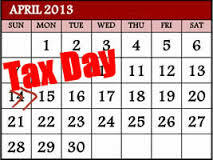 April 15th, Tax Day in America, provides full disclosure for the benefit of donors. For a digital copy of the 990 Tax Return of Next Generation Ministries please email us at nextgenminug@gmail.com and request it.